Buncombe County is currently one of 13 judicial districts in North Carolina that has a dedicated Family Court system within its District Court division. The primary advantages to filing a legal action in a Family Court district is that the case is assigned to one judge who hears all matters related to that case, with the possible exception of emergency matters. This allows the judge to become familiar with all issues related to that particular family. The District Court judges that are assigned to Family Court received special training in family related legal matters. Additionally, the Family Court staff maintains a case management system that establishes and monitors time standards in the case from the time a lawsuit is filed until all matters in the case of been concluded. This ensures that the case remains on track and is concluded as expeditiously as possible. There are state guidelines that mandate how the Family Court system operates. However, each judicial district has its own local rules that determine how cases filed in its district will be handled. A copy of the local Family Court rules for Buncombe County, entitled 28th Judicial District Family Court Domestic Rules, can be accessed by going to the North Carolina state court website at http://www.nccourts.org/Courts/CRS/Policies/LocalRules . State and local court forms may also be accessed through this website. In North Carolina, you must be separated for one full year before a complaint can be filed for an absolute divorce. However, claims for child support, child custody, postseparation support, alimony, and equitable distribution should be resolved in a separation agreement or court order during the period of separation, or pending in an existing legal action before your divorce is finalized. Claims for postseparation support, alimony, and equitable distribution cannot be asserted after a judgment of divorce has been entered. The significance of filing a lawsuit is that it brings your case before the court where it is subject to rules, procedures, and deadlines. If the parties cannot reach an agreement of the issues in dispute, then a judge can schedule a trial and make a decision for them. From a procedural standpoint, when a complaint is filed with the court, a civil summons must also be issued by the clerk of court. A “domestic civil action cover sheet” form must be attached to the complaint. Depending on the legal issues raised in the complaint, additional documents may need to be attached to the complaint and filed with the court, including a “notice of judicial assignment” and/or an “affidavit of financial standing.” A Family Court Case manager must be contacted to complete the “notice of judicial assignment” form contemporaneously with the filing of the complaint. defendant voluntarily accepting service by signing an acceptance of service form. The defendant has 30 days from the date of service to file an answer or response to the allegations in the complaint. The defendant can file a motion for an extension of time with the Clerk of Superior Court in the county where the action was filed and receive an additional 30 days to file an answer. If Defendant’s answer includes counterclaims asserted against the plaintiff, the plaintiff has 30 days from the date of service to file a reply to the counterclaims, but plaintiff may request and receive an extension of time for an additional 30 days. As an example, the plaintiff may file a complaint seeking child custody, child support, and equitable distribution, and the defendant may file an answer to the complaint that includes counterclaims seeking child custody, child support, postseparation support, alimony, attorney’s fees, and equitable distribution. The plaintiff would then need to file a reply to the counterclaims and serve defendant with the reply. A copy of all documents that are filed in Family Court cases must be promptly provided to the Family Court offices. 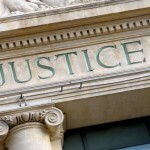 After the defendant has been properly served with the complaint and had an opportunity to file an answer, a hearing may be held on temporary issues, such as postseparation support. The initial pleadings filed in the case (the complaint, answer and counterclaims, and reply) give each party notice of the legal claims and defenses being asserted by the other and provide the foundation for the parties to move into the next phase of the litigation which is typically the “discovery” phase. This allows each party an opportunity to request and obtain information and documents to support or defend their legal claims and investigate relevant issues. Laws and legal procedures can be complicated and confusing, and add to the stress of divorce. The family law attorneys at Siemens Family Law Group are knowledgeable and experienced lawyers who represent clients in matrimonial and related matters, including divorce, child custody, child support, postseparation support, alimony, equitable distribution, and domestic violence. Our dedicated and focused family law attorneys can make a positive difference in the experience you have with the legal process and the outcome of your case. If you are considering separating from your spouse or are in need of legal representation in connection with a family law matter, contact our office to see how we can be of assistance to you. This article is intended for information purposes only and is not to be considered or substituted as legal advice. This article is based on North Carolina laws in effect at the time of posting.